Can a Chiropractor Treat Children? When it comes to matters involving your child, watching them experience illness can be exhausting and worrisome. It’s challenging to watch your child suffer from some of childhood’s common ailments. Medical care involving children is a very personal decision. Some parents prefer natural alternatives to western medicine to treat health issues their children may be experiencing. For some, chiropractic care can be a preferred method for treating health problems your child may be suffering from. At Taylor Rehabilitation and Wellness Center, a Chicago, IL chiropractor can help you to naturally treat your child’s injuries or illnesses. Someone who is unfamiliar with the care of a chiropractor may be apprehensive to have their child treated by one. Taylor Rehabilitation and Wellness Center can put your mind at ease throughout the process by developing a care plan with you and communicating with you throughout treatment so that you are comfortable during your child’s appointment. Not only can treating your child with chiropractic care allow for a natural treatment alternative, but it can also serve as a preventative measure as well. We will start your initial appointment by examining your child and listening to the both of you surrounding the difficulties your child is facing. It’s important to note that very few children experience any pain or discomfort during a chiropractic adjustment. In fact, a chiropractor applies very light pressure when administering an adjustment to your child’s body. It may be surprising to learn that chiropractic care can treat children as early as infancy. It takes a specific type of healthcare provider to work with children. 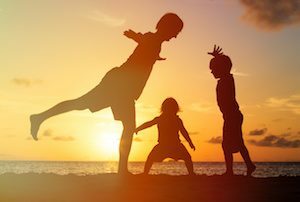 Each chiropractor from our Chicago, IL practice offers both a passion for working with children and experience in treating them. When working with Taylor Rehabilitation and Wellness Center, we can help guide you through a natural approach to treating your child’s illness or injury. Sometimes, you require more than a chiropractor to treat your child’s illness. Depending on the specifics surrounding your child’s diagnosis, a chiropractor can help to manage your child’s medical issues. We will not make decisions in a vacuum, we are all too aware that treatment may also require the assistance of other medical professionals. Through collaborative practice, we can work with doctors and medical professionals to provide you with the comprehensive treatment your child deserves. Here at Taylor Rehabilitation and Wellness Center, the health of you and your family is important to us. We can provide you with comprehensive chiropractic care, offering years of experience in healing our patients and helping them to manage their symptoms. 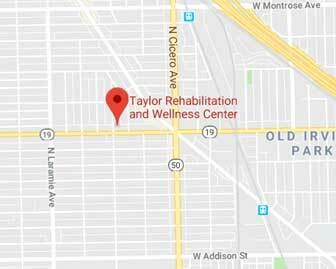 If you would like to find out how a chiropractor Chicago, IL patients recommend can benefit your family, contact Taylor Rehabilitation and Wellness Center today.